Last weekend I had the pleasure of vending at the Blue Springs, MO Quilt Show! It was a great show and they really treated the vendors like royalty. I will definitely be going back next year. I thought I would share some pictures from the show. We all like eye candy! First, here is a picture of my booth. I made a huge muslin hanger to pin my quilts to which hung at the back of the booth. This was the first time I used it so I thought I would takes a few pictures to see what it "really" looked like and next time I would revise how I hang them. I would sure welcome your comments and suggestions about how I can improve the look of my booth. It looks cluttered to me. I put my patterns out front and my EQ products along the side. The easel out front really worked to sell alot of that pattern! I also had my projector set up and could demo EQ7 for anyonw who wanted to see it. That was nice but didn't result in many sales. But a lot of people took my business card so perhaps there will be future business out of it. There were some absolutely fabulous mini quilts at this show. Some were in their silent auction and others were on display. Here are a few of my favorites. Kathy Fisher, the quilt show chair, was also the creator of several of these spectacular gems. And then the BIG suprise, hanging in the show was a quilt made from ONE OF MY PATTERNS! How fun is that? I absolutely love to see my quilt patterns made up by someone else. Each quilter puts her own creative stamp on it and the subtle difference in fabric, style, and technique always make me excited. This one was all HAND APPLIQUED. . .can you believe it? 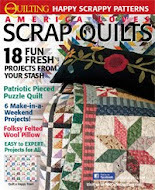 LOL My quilts are all machine appliqlued with fusible web and blanket stitch. I like the look of both, but this one by Kathy Fisher really looks incredible! She didn't use the pink and turqoise borders, binding and piping I used. Here border and binding are lavendar. And her vine is thinner and a darker green. But her flowers blow mine out of the water! I just love to see my designs in the hands of a master. The small picture is a corner of my quilt. The big pictures is Kathy's. And since my company is Morning Glory Designs, I had to take some pictures of this quilt with Morning Glories weaving all over it. I think this is the one that won the viewer's choice at the show. It certainly deserves it! The other mad impulsive thing I did at this quilt show was buy a new Bernina 440QE. I have lusted after that Bernina Stitch Regulator for so long that I was starting to drool. LOL I am scheduled to take my first class on the new machine next Friday and am really looking forward to learning all the cool things this machine will do. Finally, take a look at my tutorial page. I put up a new EQ tutorial that I am experimenting with. It has a few still pictures and two videos. I am playing around with JING (thanks to Jennifer!!) and the first vids don't have any sound. I am going to remake them this weekend with sound, and hopefully figure out how to embed the vids in the blog so you don't have to go away to view them. So much to learn. But give them a look and let me know what you think. 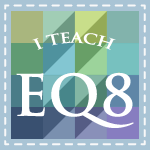 More on my first meeting of our new EQ Club in my next post. Thank you Reeze. 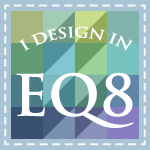 I'm so looking forward to learning EQ 7. Yea! on seeing one of your patterns at the show. We're looking forward to the one coming out next February.